Clean, fresh scalp that feels divine is not something you can turn your nose up at, particularly when you know that achieving this takes a lot of time and work. 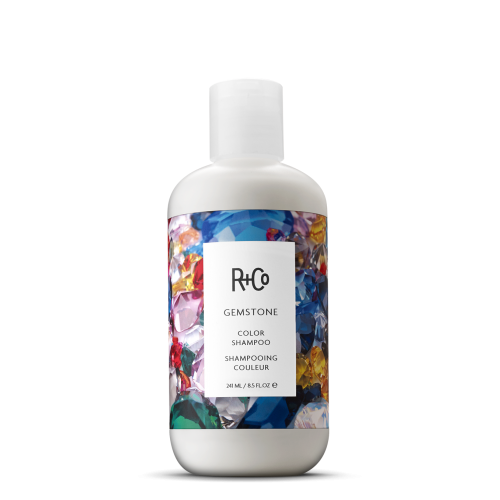 Well, that was before R+Co Crown Scalp Scrub, which takes away the work and leaves only the clean. This scrub delivers cleansing, purifying goodness to your scalp, detoxing, soothing and restoring the natural balance. Armed with impressive ingredients like Ecuadorian Ivory Palm Seed Powder and Kaolin clay that absorb the excess oil in the scalp and gets rid of loose dandruff flakes, this scrub leaves your hair feeling lustrous and luxuriant. 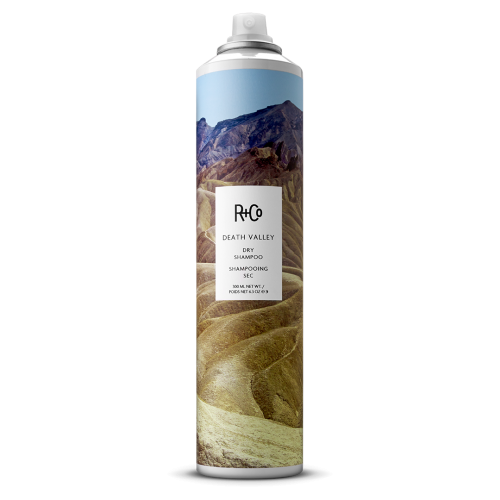 Like all R+Co products, it is vegan and cruelty free. Formulated without sulphate, parabens or gluten. 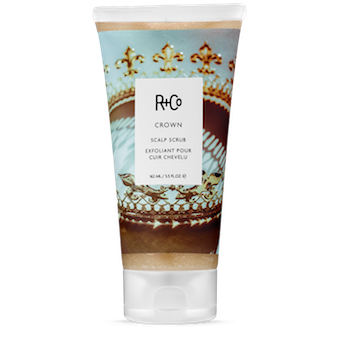 Crown Scalp Scrub is a scrub that gently exfoliates the scalp, getting rid of product, oil and dirt build up. The wonderful thing about scalp scrub is that it cleanses without blocking your pores and works efficiently to remove the layers of build-up, which can result from excessive use of dry shampoo. 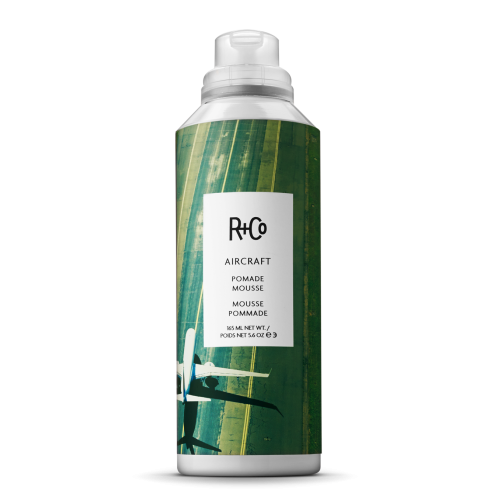 It leaves no irritation and is infused with natural ingredients that leave your hair feeling fresh and hydrated. It really does work and after using this once, you’ll wonder how you ever survived without it. It leaves your scalp squeaky clean without drying it out. So think soft, lustrous and hydrated hair with very little flaking. You can say goodbye to itchy scalp as the flakiness from product build-up and continuous use of dry shampoo are gently washed away. If you have tender and sensitive scalp, then this gentle cleansing non-irritating product is the scalp scrub for you. Massage a small amount of the scrub unto your scalp and rub until you feel the exfoliants dissolve fully. Then rinse thoroughly. You get better results if you follow immediately with a good conditioner. 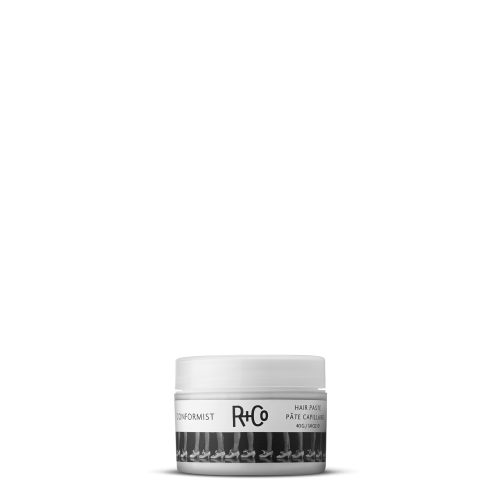 Salicylic Acid, – works to reduce the build-up on the scalp, improving the health of the follicle. It also helps in removing loose dandruff flakes. Ecuadorian Ivory Palm Seed Powder, – this is a tender exfoliant that is gotten from natural sources. Kaolin, – is a natural clay that is rich in minerals. It works to absorb the excess oil on the hair and scalp, delivering a clean scalp that improves the body and volume of the tresses. Aids scalp health and is also used to get rid of loose dandruff flakes.